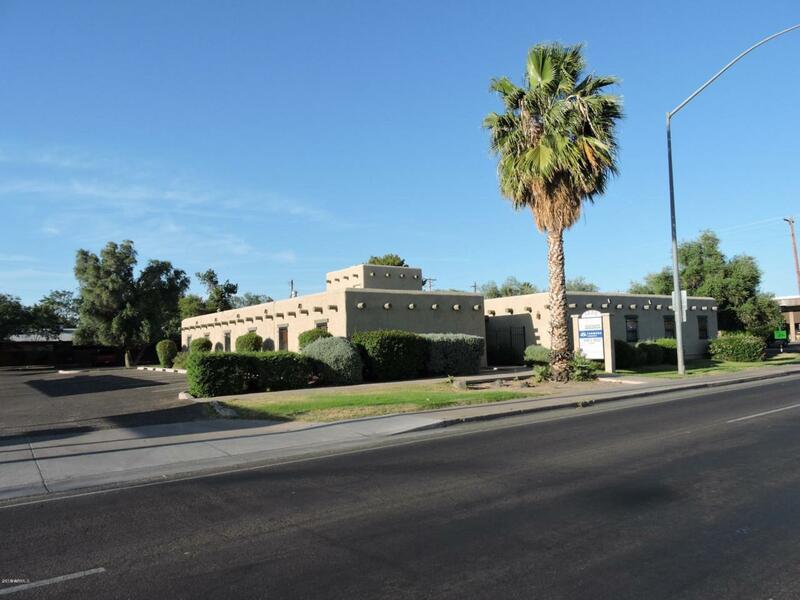 Nice Professional Business office located in attractive single level building with a central courtyard and fountain on corner lot. Large reception area and two private offices. Covered and uncovered parking. Monument sign. Great convenient location. Close to US 60 Freeway. High visibility and traffic count.